I compiled what I consider the 9 key aspects of the US-American communication style worth internalizing. You can get them as a FREE white paper over at my company website. Just leave your name and email, and team at The Culture Mastery will send it to you – for FREE! 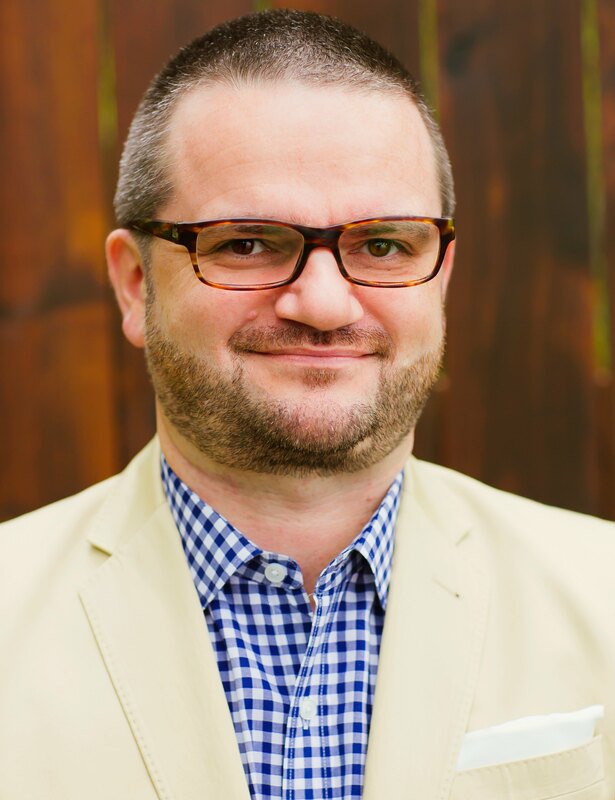 Christian is a cultural trainer, coach, and consultant with extensive experience in working with multinational companies and especially in developing global leaders. He is the President and CEO of The Culture Mastery, LLC, where he leads a team of dedicated training, destination services, and expat support specialists. Christian works with global organizations (or those who are going global) to help their employees overcome cultural differences. Typically he only uses the word “normal” in quotation marks and he is an advocate for helping people understand the why of behaviors – not just the dos & don’ts. Most just call him “The Culture Guy”. Find out more about Christian here and follow him on Twitter. You can also see him, listen to him, and experience his work – just invite him! Very well written Christian. I might add in regards to the “informality” piece, that there are various subcultures and social strata within America, and it’s best to ask people before you make assumptions. I tend to ask: “Should I wear a suit and tie?” a fair bit. It’s better than “What should I wear? As it implies that you regularly wear a suit and tie. Generally, you won’t embarrass anyone by being overdressed, but you will embarrass yourself if you’re under-dressed or under-formal. What you’re asked to wear can be a clue to the level of formality expected; if the other party recommends suit-and-tie, it’s likely to be more formal. Also, older generations really appreciate formality more than younger people do, and if you’re a younger person, you earn yourself big points by addressing people as sir, Ms., Ma’am, or by saying “excuse me” when leaving a table, etc. I think the interruptions are really regional. Much more common on the East Coast; it tends to come off as rude in the Midwest… The same way that some folks from Boston/Philly/NYC hang up the phone without saying “goodbye”. Christian, very well written and accurate, but it is alo needs to be kept in mind that there are cultural diffrences in the US depending on region. US Americans seem to understand these cuktural diffrences easier and adjust to it much easier. Even in the South East itself it depends where you conduct business. Florida is much different than for instance Alabama or Tennessee. My observation, after living on the East Coast, West Coast and the South East is that an important factor is how urbanized an area is. A business somewhere in the middle of nowhere may be less formal than a business in a more urbanized area. it also needs to be considered who your direct counterpart is within a business. With the US being a cultural melting pot, your counter part could be Japanese or Indian who is usually more like Central Europeans. In short there is not one template that fits, but it is very important to be able to adjust on a short notice. The one thing I learned that many US American business people have a certain preset notion about Europeans, which is that they think they know it all and there for it becomes more important to adjust fairly quick and easy. Thank for sharing your perspective, Oliver. Danke für die Blumen, Barbara. I doubt that Germans are a lot more comfortable with the awkward pauses than Americans. Since this post was meant to provide practical advice on improving communication I thought it might be good to know that the pausephobia can be an Achilles heel. Interesting that you’re providing 2 Euro-cents…. Great article – I also found that US-employees expect their Boss much more than Germans to tell them what to do and how to do it. In a meeting when a Boss ask his people for “open discussion” people will hardly express a view opposite to his view. I found it also helpful to send a “thank you” note via email after a meeting, together with a short summary of what was discussed and the points commonly agreed. As the Business culture is faster than in Europe it might help to send from time to time helpful articles and also greeting cards for i.e. Christmas, 4th July, Thanksgiving etc. in order to stay in the memory of your customers. They told me one thing before i came to the south, don’t argue about Sports, Politics, and Religion. Very true, Detlef. Probably more so for politics and religion. Excellent article. Well written, easy to understand for both sides of the fence and based on facts like a good german with a spice of humor for americans. I am always and will forever be amused by the differences in cultures in general but particular in the unexpected facts I learned over the past 16 years living across the US. You mirror those in your article to a large extend and I wish we had some more graphics illustrating those for all audiences. I recently attended a conference in Budapest and we had a cultural speaker comparing Europeans such as Germans, Brits, Finns and US Americans with great detail and fun. “How are today?” the Finn answers “You already asked me this last week!” This seems to me an evolution line of communication differences that can be identified with differences in behavior but also language and dialects. I recently also came across a study how Americans target the latino community in the US. Equally interesting and I am interested to learn how Americans target a German or European audience. Has someone access to this type of information? Thank you for the comments, Alex. And thanks for reading. Really interesting article! My perspective is that of a US native who studied/interned in Germany, and Alex’s post reminded me of differences between German & American greetings. The German who asks how you’re doing means it and expects an answer. The American, in passing someone in a hallway walking in the other direction, says “How’s it goin?”, doesn’t change pace and simply means “hello”. I had a coworker at Bosch in Gerlingen who used to see me in the hallway, say “Hiya doin?” and speed up as he walked past. Loved the joke, but I also like the sincerity of asking and expecting an answer. It makes me think twice when I greet people that way, and now I always try to wait and hear how the other person is really doing! Swabian humor… gotta love it, right? Thanks for reading & commenting, Jason. Thanks for reading, commenting and tweeting, Jenny! Very interesting article. Helps me understanding my us-customers much better. More about this, please. 2. Use of jargon. Jargon is jarring. It’s esoteric. It’s exclusionary. It’s also pedestrian and is often indicative of a lack of imagination or creativity in the area of good metaphoric use. Avoid it as much as possible. 3. Informality is fine, but never assume that everyone is comfortable with it. Understand that Europeans grew up in languages that have formal and informal forms of addressing strangers versus friends. Americans are often accused of being “too friendly” or being shallow because we call everyone “a friend”. Most Europeans don’t do this. You have to earn your way to friendship. Start politely and then invite the EU expat to be informal. This will show cultural sensitivity on your part and will make your informality feel more genuine and less vapid. 7. I wish more Americans presented information deductively. Thank you for your thoughtful comments, Janet. I’m sure you realize that I’m writing from the perspective of a German in the Southeastern U.S. – hence the focus on the experiences in this corner of the country and my interpretation of the cultural (and communicative) differences. 1. Metaphors are fine. Sports metaphors are not. I wasn’t clear about that. 2. In the case of silence being golden, I wasn’t suggesting your writing, i.e. this blog entry, was a piece of crap. I was referring to writing in general. I spend a lot of time editing bad writing by native and non-native English speakers. I was speaking of the work I do in general and not about this particular piece. Which is well-written, by the way! Christian: I do. It’s a great service you’re providing. I hope non-Germans are reading your blog as much as German expats. It’s a great blog! Feel free to ask clarifying questions. If you don’t understand a word or the direction of the conversation, ask. Many African and Eastern cultures see asking questions as challenging the speaker’s or leader’s authority or knowledge. Americans want to know that their comments/teaching/guidance/direction is germane and needed. Very good article Christian (forgive me for using your first name, I’m an American!). Born and raised in Washington D.C. and living my entire life in various parts of the US, I recently moved to The Netherlands, and am a teacher at an international university. Prior to going, I thought, everything is in English, so it’ll be no problem. I couldn’t have been further from the truth. I would interrupt people in meetings, don’t let other people finish their sentences in private conversations, use sports metaphors, and humor to a great extent, particularly in class. While teaching, not only are there cultural difference, but add the generational differences as well, and it makes it very difficult. Your article was most helpful, and explained a lot of questions I’ve had. Even though we conduct all of our business in English, I have found it difficult to change my teaching style and my dealings with “colleagues” (also a term we don’t use in the US). I’ve been in The Hague for two years, and am probably most grateful that the Dutch are so tolerant! They accepted me, even with all my idiosyncrasies. Many have even taken the time to explain the difference to me, and help me better understand the culture. I know if their culture were like the American’s, they would have sent me home a long time ago! I’m sharing this with some of my Dutch and German colleagues in hopes they’ll better understand (and forgive) me. Number 2 made me think of something else – When I moved to the US as a teenager I was always wondering why everyone quoted movies so much. Perhaps it had to do with my age, but people were always throwing one-liners at me and then laughing hysterically. Me, with a blank stare. Them later saying “relax, its from a movie”. Years and years went by, and even when I got my first job in America I had colleagues who were still quoting movies. Fast forward some more years. Now I am in Germany and I notice… no one basically, ever, quotes a movie (and then laughs about it). your reference to Sports Jargon made me think of this! 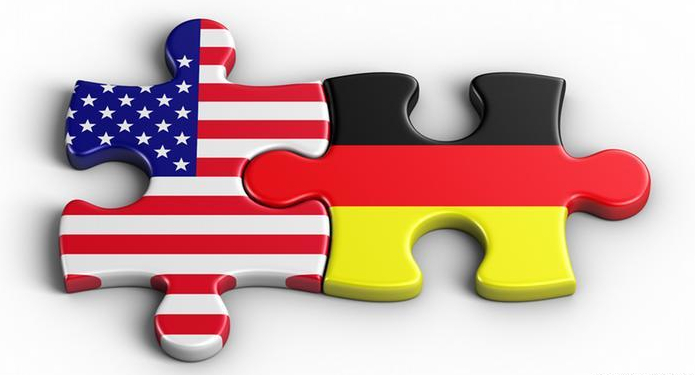 Ich beobachte Folgendes (und das schreibe ich bewusst in Deutsch, Anregungen sind gerne willkommen:) Deutsche (Expats) können immer dann fair und nachsichtig diskutieren, wenn es sich beim Gegenüber um einen Amerikaner handelt. In den eigenen Foren oder im persönlichen Miteinander gibt es nie “Schulterklopfer” wie bspw. “Toll Klaus! Klasse Artikel! Tolle Arbeit! Ich schätze das!”. Meiner Meinung nach sollten Deutsche, die in den USA immer so unheimlich positiv und kontaktfreudig rüber kommen (meine persönliche Erfahrung: Erschreckend, wie “wandelbar” der Deutsche ist), diese Verhaltensweisen auch im eigenen Land umsetzen – und dies bitte auch gegenüber “anderen Ausländern” wie z. B. Spaniern, Italienern, Russen etc. Es scheint ja Spaß zu machen und wirkt sich positiv auf das Miteinander aus. Der gleiche Enthusiasmus im eigenen Land, im eigenen Unternehmen – das wär doch mal was! Es könnte ein Vorurteil sein – meine Erfahrungen im In- und Ausland bestätigen das Ganze jedoch. Danke für den Kommentar, Silvia. Tja, liebe Silvia, nur können nach meiner Erfahrung viele Deutsche nicht mit soviel positivem umgehen. Ich habe schon einige Dämpfer dafür erhalten (was mich aber nicht entmutigt)….